Darryl with believers from the Jirei tribe. Sometimes in life and ministry we don’t see the fruit immediately. Especially in media ministry Darryl often feels that his calling is to take the gospel to people that he will never meet, in languages he will never speak, in places he will never go. Normally it is fine to trust God that someday in heaven he will get to meet the people who have read his books, listened to his radio programs, and watched his videos. But, sometimes it is nice to receive some feedback. A few days ago, Darryl attended a meeting at Far East Broadcasting (FEBC). 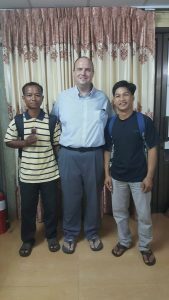 He wasn’t sure of why he was there meeting a group of Christians and missionaries from the Jirei tribe in rural Cambodia. At the end of the meeting he was told that they have translated the Anchors of Faith radio program, that Darryl developed a few years ago, (26 half-hour episodes) into the Jirei language and that they are playing the program on a radio station in rural Cambodia and in tribal churches! When they found out that Darryl has also produced videos, they were interested in translating them into Jirei as well. Thanks again to all of you who supported this project years ago! It is still bearing fruit after many days. Things are going well for us. We are glad that the rainy season is ending and along with it knee-deep flooded streets that cause us to pray for our car when the waves from other cars wash over the hood. Benjamin continues to do well in school. His class is studying the human body. Benjamin not only knew most of the body parts but knew about cells and DNA from watching apologetics/intelligent design videos. For homework, his teacher asked him to draw a diagram of the cell for his classmates and he did it. Kayo continues to volunteer at Precious Women Ministry, to minister to Japanese living in Cambodia, and is part of the worship team at the international church. She is also reaching out to our apartment building’s cleaning-lady. Darryl has started partnering with Light Times Magazine, the only Christian magazine in Cambodia. Some of his video scripts will be published as articles in the magazine and they can help him produce better quality videos in the Cambodian language. A new video, “If God is Good, Why is There Evil and Suffering in the World?” in Cambodian language is in process. Another missionary from rural Cambodia e-mailed and requested videos to show her students during the upcoming holidays. He also is helping out with the Chinese ministry at the international church. 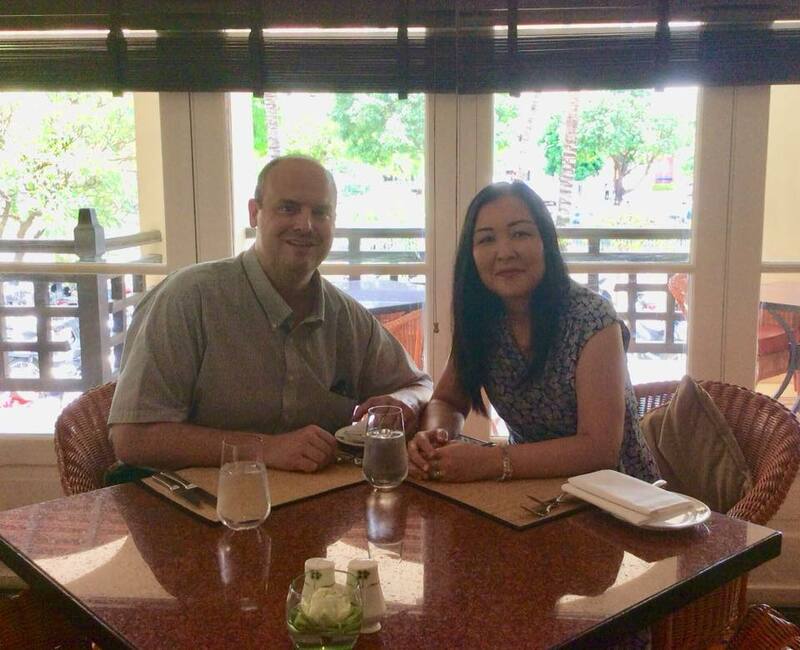 They are also interested in producing apologetics and evangelistic videos in Chinese and want Darryl’s help. Thank you for your partnership in our lives and ministries. May God reward you for your faithfulness! Please pray for continued health, wisdom, and strength for all of us as our ministries expand. We thank God for providing a temporary solution to our visa problem. Please pray for wisdom and for a long term solution. Please pray for our long-term vision and needs.